Question: Can Australia and Indonesia be Good Friends? Richard Woolcott FAIIA Yes, we can but we must make every effort. This will always be a complex relationship with difficult periods and issues. But now and in the long term Indonesia is one of our four most important bilateral relationships (the others are the US, China and Japan). Janet Hunt FAIIA Australians are rightly upset that the death penalty appears likely to be applied to two of its citizens in Indonesia and if it proceeds, as seems most likely, this will no doubt affect the attitudes of many Australians towards Indonesia for some time to come. Personally I am opposed to the death penalty anywhere, but it is the law in Indonesia and it is important Australians recognise that, however much we oppose it. However Australia has also taken actions that have severely upset the Indonesian Government and perhaps many of its citizens in the recent past, and which have also breached peoples’ human rights and put them in great danger (i.e. turning back asylum seekers). The deployment of Interfet in East Timor was another critical moment in the relationship. Yet the countries can and do remain friends. However, the friendship would be strengthened if we could all understand each other better through deepening people to people contacts as well as the usual diplomatic ones. Indonesia is a major nation and is our near neighbour. We have no choice but to live side by side and the sooner we can do so with greater mutual understanding, the better. It would help if Indonesia joined many other nations and abolished the death penalty and Australia took its international responsibilities in relation to asylum seekers more seriously, rather than shunting the problem back to Indonesia. Rawdon Dalrymple AO FAIIA This is an interesting question. Firstly because it is hardly possible to imagine a counterpart Indonesian director asking her/his senior group the complementary question. That already reveals the difference in the ways Indonesians and Australians look at such matters, at the world around them and at each other. Indonesians feel no need to try to generate friendship here (or indeed anywhere else). 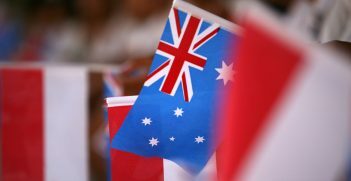 Australia has been trying off and on to generate friendship with Indonesia pretty much since that country became independent (I spent seven years at it during the Suharto presidency – with limited success). President Yudhoyono was the first Indonesian president to show much warmth in responding. Secondly because Australians would be better employed tackling less slippery issues at the Australian end of the relationship. As Gareth Evans recently pointed out we have dropped the ball on Indonesian language tuition, indeed on all teaching about Indonesia. That needs to be rectified. But I don’t think there will be the motivation to tackle the Indonesian language and related subjects unless and until there is demand by business and government for the services of young people with that training. And that demand does not appear to be growing yet. If the executions go ahead presumably the disincentives will be enhanced, albeit irrationally. Geoffrey Miller AO FAIIA It’s very hard to talk about “Australia” and “Indonesia” as actors: you really have to go behind country names. But if we’re talking about government-to-government relations I think we’re getting onto dangerous ground in regard to Chan and Sukumaran. 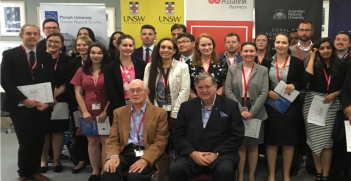 For years a refrain of Australian foreign ministers in regard to Australians abroad has been that when Australians are overseas we’re in other jurisdictions and subject to other countries’ laws. This has been seen as an important point for Australians going abroad to understand. Yet as the Chan/Sukumaran case seems to be reaching its sad denouement both the PM and the Foreign Minister seem to have gone on to another tack, with the PM in particular saying that “Australians are angry” and canvassing what we might do in response to executions. Indonesians are sensitive about their national sovereignty and our government’s current line could be seen by them as “talking down to them”, and not accepting Indonesia’s right to make its own laws and set its own penalties – all this on behalf of convicted would-be smugglers of heroin, a drug that ruins many lives, in both Australia and Indonesia. Let’s hope we somehow get through this, but self-righteousness on our part won’t be the key. Erika Feller FAIIA The question assumes, as its starting point, that the friendship is not already there. I disagree. The Australian and Indonesian governments have long sparred over many issues even while ties have continued to deepen. The impetus to understand each other and to build cooperation has proved stronger, I believe, than the periodic tensions arising from disagreements. For the moment, neither country can really afford it otherwise. And of course both countries are more than their governments. The connections at the level of the business communities and the respective civil societies are multiple and serve as a solid frame for an enduring relationship at the political level, as long, that is, as the issues of contention are handled with sensitivity and tact. Are both qualities in ample enough supply? I am not sure. 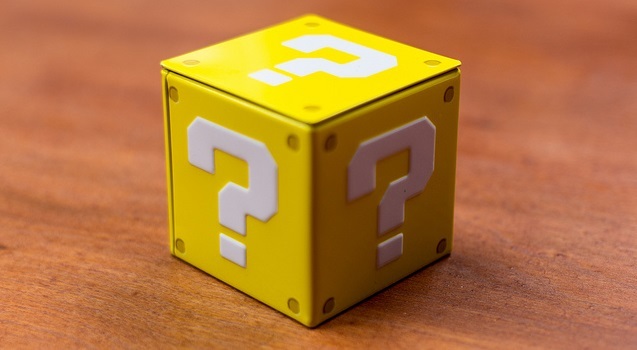 Maybe the question is better (or more provocatively) framed: Is the good relationship, built up through considerable investment over many years, being endangered through mismanagement? Garry Woodard FAIIA It should continue to be an aspiration, as it has been in some quarters in Australia throughout the last 70 years, to be friends with Indonesia, our very different neighbour. In a previous Burning Question nearly a year ago James Cotton had wise words to say about the limitations of friendship between states and Rawdon Dalrymple noted the historical volatility of the Indonesia-Australia relationship. These enduring factors, another of which is the geographical factor that we face Indonesia, and the growing asymmetry of the bilateral relationship and the uncertainties of a globalised world, suggest that the burden of preventing excessive swings in the bilateral relationship will lie heavier on Australia. Comfortable though it may sound, it is not in Australia’s interests that Indonesians, as often said, should see us as an appendix, only noticed when it gives trouble. While Australia and Indonesia are close geographically, they have only weak investment and trade links. The choice is simple: work together and prosper or miss out on the economic benefits. A diplomatic career can be interesting, enjoyable and challenging. The developing cyber realm will demand more thought from governments.